Now a days using free apps for sms is becoming a trend like Viber, BBM, iMessage, Whatsapp for connecting with friends. This also help you lowering down bills and also help making interactions more meaningful and interactive. Whatsapp is the most popular app of these all apps. But now WeChat is catching up attention. 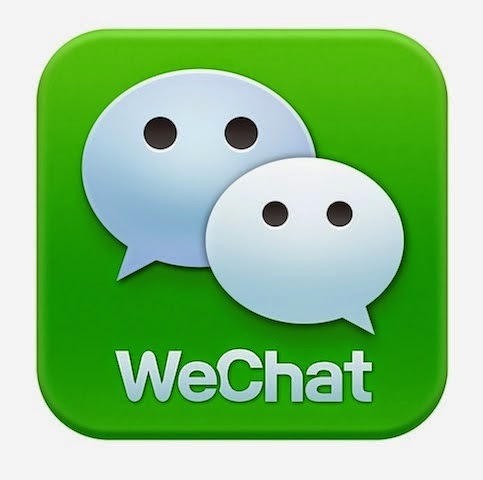 Now we discuss about features of Wechat and what making it popular whatsapp alternative. Whatsapp was introduced in 2009 and has been favorite of millions of people. But after some time every good thing come to change, as it is not free after a year. WeChat is start raising its heap when Whatsapp has established itself. Whtasapp has been criticized a lot for privacy issues and lack of features compared to We Chat. WeChat support most of the android devices. We Chat also allow you to chat with friends on desktop browser also. Where Whatsapp client is available for selected android devices. Whatsapp lacking a web app. All we need to do is open WeChat in web client and scan QR code when you open web.wechat.com and you are good. So we see whatsapp is falling in short in device support. “In tests, Heise Security found that, with the help of WhatsAPI, the PHP-based WhatsApp API, it was possible to take over both Android and iOS WhatsApp user accounts. And doing so was shockingly easy. All attackers have to do is to enter the phone number and MAC address or IMEI into a script and they are then able to send whatever messages they like from the compromised account. The sender is reported as the compromised user’s phone number. It is also reported by The Wired that Whatsapp has breached privacy rules and store user details. As Facebook has acquired Whatsapp in a $19 Billion deal, so privacy on Whatsapp is have more questioning than ever. You can easily activate and deactivate any feature with just one click. You can also disable social add-ons easily. By using social addons, users who are not in your contact list will nto see your number. If you want to chat and don`t show your number you can use WeChat ID. On Whatspp your group restricted to just 30 numbers but on WeChat you can add 40 members in group chat. You can start group chat with QR codes and email 40 friends to join. It also have emotions and stickers. Wechat also support videos calls where Whatsapp do not support video calls. It also support live chat like Google Hangout. You can also get rid of typing messages by pressing "Hold to Talk" button and record your message and sent it. Don`t confuse it as voice search. Your message goes voice message. We all love talking with emoticons. We all like it. Virtual expression say many words easily and express feelings. We also like Whatsapp emoticons but here you can take image and use it as your emoticons. WeChat is just not another IM, it is much more then that. It is an awesome social tool. It allow you to integrate social network and you can link your Facebook profiles. We share videos and images easily with whatsapp but WeChat it two steps better than it. It allow you not only to share with friends but you can share with anyone in the world. They have special feature we call "Moments" that allow you to share with world. We Chat have a special feature "Look Around" feature allow you to find new people around you and make friends easily. It do not restrict you to friends only. You can look all active users in your area and easily connect with them. This is an awesome feature. It allow you to throw a bottle into sea with text or voice message. once this feature is activated someone from around the world can pick your bottle you can also pick bottles of others. This is actually a fun feature. You just need to activate this fatre and then you can share your phone. When you shake phone if same time anyone else shaking the phone then his name popup on yoru screen. Walkie Talkie! features has been added for live chat. It give you feel like walking on walkie talkie. You just need to enter Hit "+" in group mode and choose live chat. A message wil be sent to other members of group. On walkie talkie only one person can talk at a time. If light is red that means someone is talking and when its green then you can talk. We chat offer you one click backup and restore chat history. Go to setting, go to Chat backup history, Click on Backup, Choose friends whose chat you want to backup then click on OK.
We Chat also allow you to save any message as your favorite message to use later. You just need to select message and click on Favorite. WeChat also allow you to broadcast messages to multiple contacts. Just go to Settings and Select Broadcast Messages. You can enter message and then select friends to broadcast your message. You can add people to contact list easily by telling them to click Friend radar in Add Contacts. You can also use We Chat web client on your PC. You just need to login to your PC and continue conversation. You can also send files to your phone, using Web Grab plugin you can send webages from your PC to your Phone. So These are the reason we believe that WeChat is best Whatsapp Alternative we see that WeChat is not only best Whatsapp alternative but it add much more fun in chatting and friends activity. This is one of the fastest growing community of worldwide users. Do try this app and share what you think about it. What you prefer more WhatsApp or WeChat ? Do share in comments.